Home > Blog > Greystone Girls! Of course we love singing our own praises here at Everything Summer Camp—and we sing those praises a lot! But we also like to share the spotlight with other organizations too whether they’re brand names whose fun products are available on our site or the fun factories themselves—summer camps. 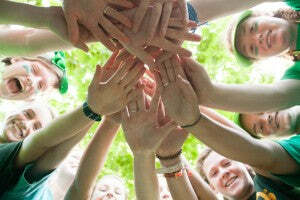 Today we’re shining our spotlight on Camp Greystone for girls. Sister camp to Falling Creek Camp, Camp Greystone is a Christian summer camp for girls, located on the shores of Lake Summit, among the mountains in Tuxedo, North Carolina. Encouraging young girls to discover an unvarnished version of their personality, Greystone girls get an excellent experience. 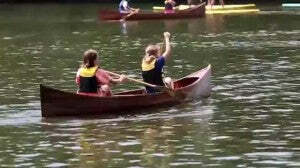 How does Camp Greystone work their summer magic? Simple! 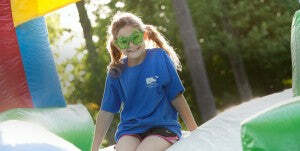 They provide their campers with awesome, engaging, and utterly fun activities all throughout their summer sessions! Your daughter will enjoy all kinds of water activities in their spacious pool or out on the lake. Move to the land for fun sports like Basketball, Volleyball, Soccer, Softball, Flag Football, and lots more. 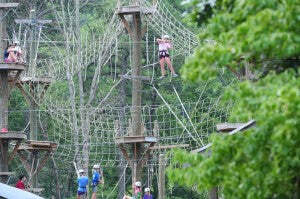 If you love adventure, they offer overnight camping trips, rafting, and a challenging ropes course. And you can flex your creative bone, learning cool trades like ceramics, painting, photography, and writing. Maybe you want to give entertaining a shot. Wow your camp friends with dance routines, musical abilities, juggling acts, and drama skills. Greystone gives girls a clearer image of themselves—one that’s untouched by their established reputation of who they are from back home. Greystone delivers a transformative experience that takes a young child and sets them on a subtle road to maturity and self-actualization. An excellent all girls summer camp for your daughter to attend, check out Camp Greystone yourself and, as always, thanks for reading.